A new vaccine against tuberculosis could not only boost the effectiveness of the existing childhood BCG vaccine, but could also offer protection against multidrug-resistant forms of the disease. TB is a global problem, with the World Health Organisation estimating that almost 1 billion people will be infected by 2020. Multidrug-resistant strains of the bacteria are also becoming an increasing problem. Scale bar, 20 micrometers. See figure 5 in the manuscript for more information. Image courtesy of Science/AAAS (c) Image courtesy of Science/AAAS' alt='New TB vaccine shows promise' >The standard vaccine, the bacillus Calmette-Guérin or BCG that most of us will have had at some point, is very good at protecting against severe disease in children, but actually offers little protection for adults. Attempts to boost the immunity by re-administering the BCG have not been successful, so any new vaccine would have to boost this immunity, as well as offer protection against drug resistant strains. This new vaccine, which has been tested and found to be effective in a range of animals, consists of four proteins joined together along with a chemical known as an adjuvant, which helps to create an immune response. Each of these proteins has been shown to give partial protection against TB on their own but as there are so many different strains of TB out there, no single protein is enough for a vaccine. 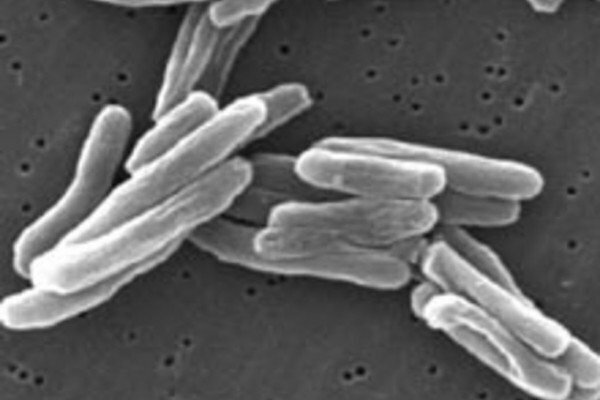 By combining proteins into one super-molecule, the vaccine offers protection against a range of different strains of Mycobacterium tuberculosis, the bacterium responsible for TB, including a strain known to be resistant to multiple drugs. In guinea pigs that had previously been immunised with a short-term BCG, the new vaccine not only offered its own protection, but also stimulated the release of immune components that were originally activated by the BCG. This makes it a good candidate for boosting immunity from the BCG, which has been given to millions of people worldwide since its first use in humans back in 1921.